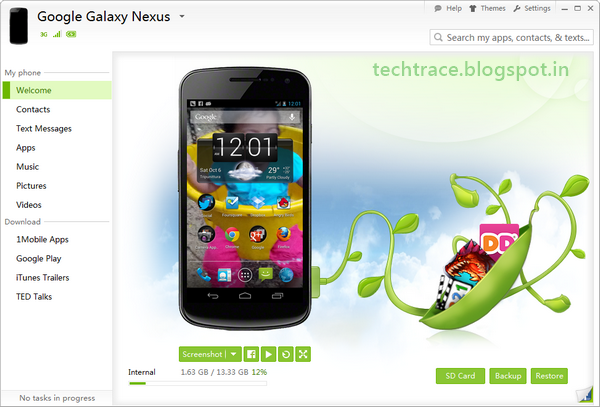 If you've got an Android based phone, you would possibly want it to manage files and apps from your laptop. SnapPea is a new software app for Windows that allows you to manage your android device from your pc and organize your apps, contacts, music and photos etc from the comfort of your Windows desktop. the application includes a excellent interface that automatically detects the phone after you connect and installs the specified drivers. It also installs the android app on your phone.